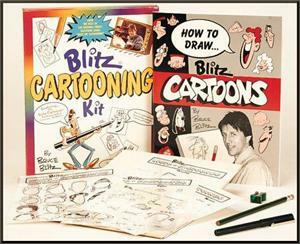 The Original Blitz Cartooning Kit! 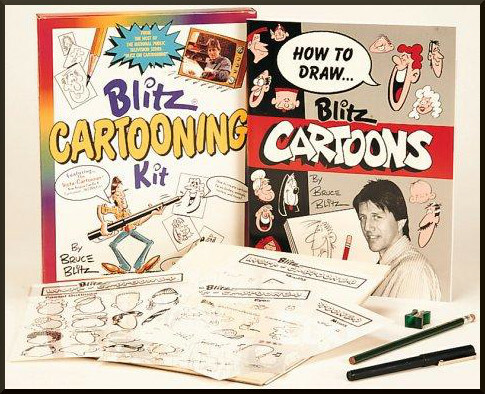 Bruce Blitz's best-selling cartooning kit has sold more than 500,000 copies and helped countless young artists become the cartoonists of their dreams. • 5 Insta-Cartooner overlay sheets – use them to create thousands of different faces instantly! • Art Portfolio and more. Bruce Blitz is an American artist and cartoonist. He is the creator and host of the four-time Emmy-nominated PBS television series Cartooning with Blitz. This fast-paced cartooning variety show aired on public television stations around the United States. He lives in Cherry Hill, New Jersey.